In the midst of the shooting tragedy at Santa Fe High School outside of Houston, stories of heroism and bravery are beginning to emerge. Specifically, the story of Christian "Riley" Garcia needs to be told to every young man you know. This normal looking 15-year-old man is a hero. On May 18, 2018, he sacrificed his life to save the lives of his friends. Note that I didn't call him a boy. I called him a man, for he did what men are supposed to do. While an active shooter was trying to get into his classroom, Garcia held the door shut while his friends escaped out a back door. According to the family's pastor who had talked to other students, "The shooter shot through the door, taking Garcia's life." 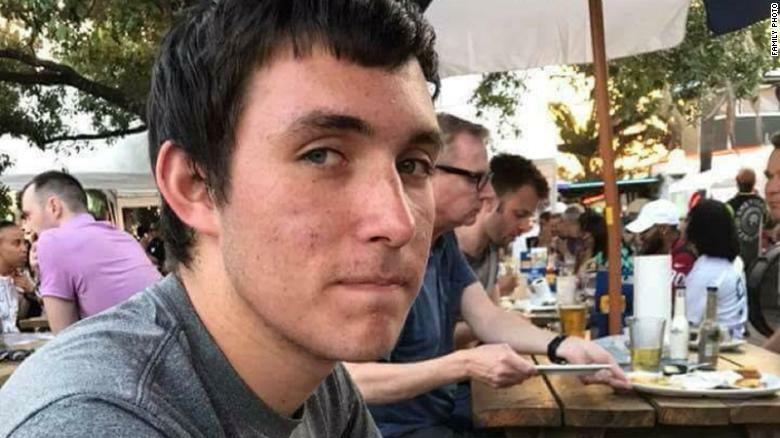 You can read the full story in a CNN article from Tuesday titled "A Santa Fe High School Student Died While Trying to Protect His Art Class From the Shooter." School shootings like this are senseless and horrific in every way, bringing insurmountable grief to communities and families. Riley's death was tragic, as well, but his act of courage saved lives. He should be honored and remembered. I pray for a day when twisted, broken people don't hurt innocents. But (for unclear reasons that we will all continue to debate), it seems to be a part of our culture. If bad people continue to hurt others, I pray that young men like Riley will continue to "guard and protect" the people around them. We have long taught our boys those two words: GUARD and PROTECT. We drove this in to them as preschoolers, telling them that this was standard operating procedure for boys and men. You guard and protect the people around you; particularly those who are weaker than you. Call it chivalry or honor or sacrifice, we wanted our boys to know that God had given them the solemn job of using their strength for the good of others. This attribute is sorely missing in young men today. Our young men need to taught to hold doors open. To offer help and assistance. To take the lower place. To date with chivalry and respect. To serve their guts out at every opportunity. To speak up for justice when others remain silent. To be on the lookout for those who would take advantage of others. They need to be taught that when someone with a weapon is trying to harm people, you try to diffuse the situation. If you can't, you step in to guard and protect the people around you. You do this, even if it means sacrificing your own safety. Or even giving up your life. This is exactly what Jesus did 2000 years ago. He laid down his life for others. In a small but significant way, it's what Riley Garcia did last week. We should honor this young man's sacrifice and remember him as the incredible hero that he is. All of our young men need to trained to think of action like this as normal. At INFO for Families, we feel specifically called to help families to develop these attributes in their sons. Our book for teen guys, The Young Man's Guide to Awesomeness, talks specifically about this stuff. It's all in the subtitle: "How to Guard Your Heart, Get the Girl, and Save the World." We wrote it as a call to young men to boldly build a lives of character and significance. It's a guy-friendly and easy-to-read book that has given thousands of young men direction on building lives of purity and purpose. It features practical direction, Biblical principles, and scan-able QR codes that link to 25 videos that illustrate the importance of sexual purity and good old-fashioned chivalry.